STAFFORD, Texas -- Police are searching for a suspect who fled the scene after fatally shooting a man outside a suburban Houston Wal-Mart Wednesday night, reports CBS affiliate KHOU. Police say the shooting followed an argument that began inside the store. According to the Stafford Police Department, the shooting occurred just before 7 p.m. The victim was airlifted to the Memorial Hermann Southwest Hospital, but later died at the hospital. 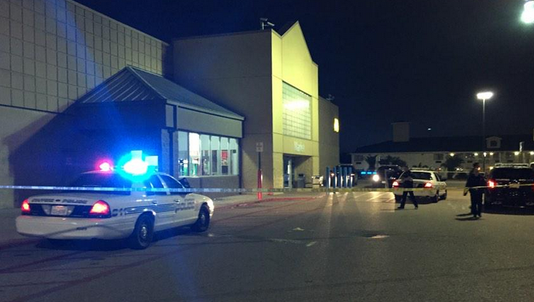 The store was reportedly evacuated and closed after the shooting. No one else was injured. A witness says that the victim had been with a woman and child. Police told reporters that it didn't appear that the two men knew each other. Investigators also say they have some strong leads in the case. Officers were in the processing of reviewing surveillance footage in the hope of developing a description of the suspect.